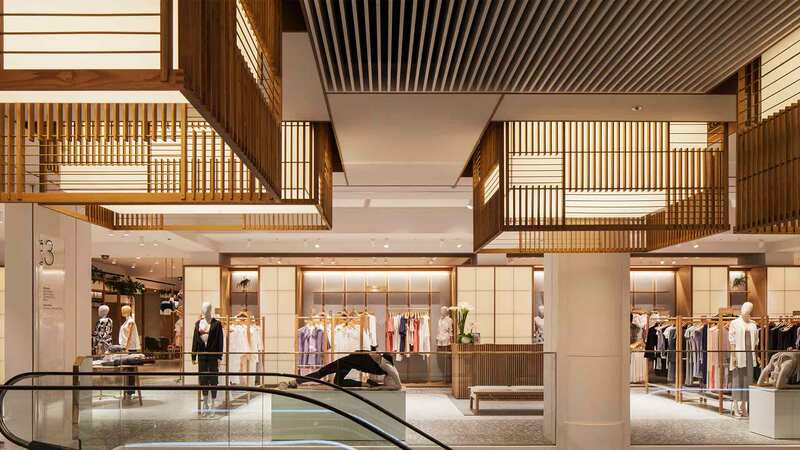 Covering 37,000 square feet of retail luxuriousness this is not only Selfridges’ largest department, it’s a new concept that stands to “revolutionise” the way women shop for everything bodywear. 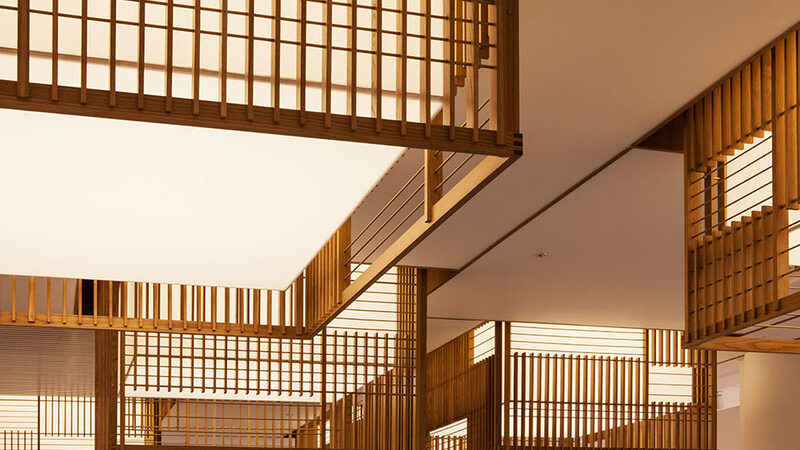 We collaborated with interior designers Neri&Hu and FDArchitecture to make sure the lighting design solution worked with, and reinforced, the design brief for the new space, and we’re pretty pleased with the results. 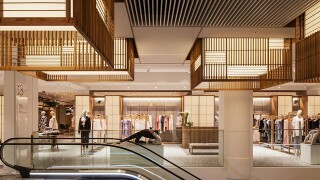 The lighting scheme creates a unique “mood” for each retail pocket: a feeling of warmth and sunshine for holiday and swimwear, energy for sporting collections and airiness and comfort for lounge attire (to name a few). Individuality aside, it was important for the overall space to feel as one so we used the same ceiling layout throughout. Surface mounted LED spotlights were used for flexibility alongside integrated lighting in joinery to illuminate vertical surfaces. 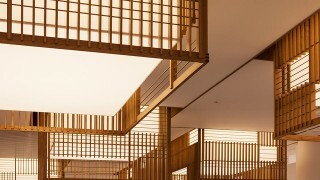 Large lanterns hover over escalators for an impressive entrance and backlit shoji screens surround the daylight-flooded courtyard, reminiscent of a Japanese tea house. 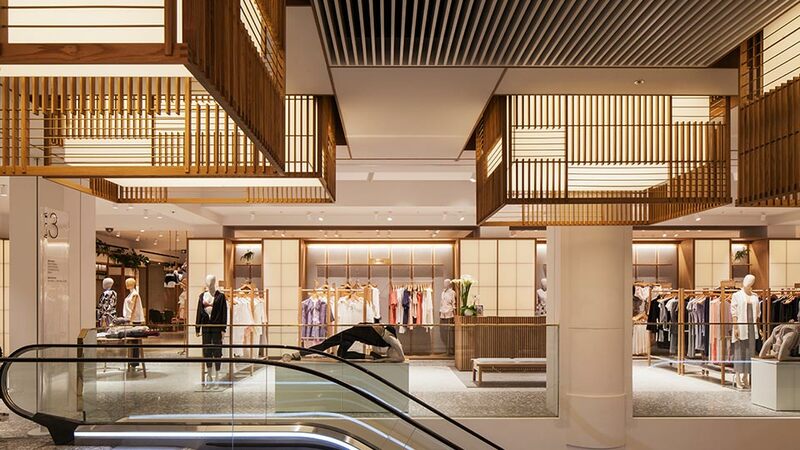 At night it really comes into its own: an intimate, visually interesting shopping experience filled with highly considered lighting details and choice of beautiful finishes. And, if you fancy a “Go to Green smoothie” and cut and blow dry, then that’s covered too with Hemsley + Hemsley’s first-ever café and a lush new salon from Daniel Galvin. 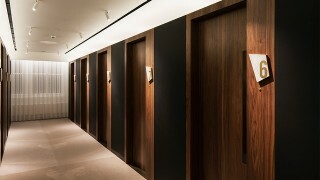 Yes we’re biased, but the whole concept and ambience of Selfridges Body Studio is pretty special and a “must see”. 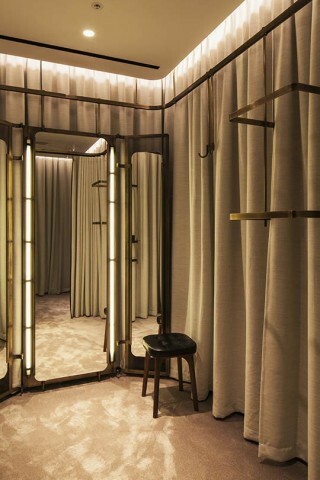 As lighting designers our mission was to deliver something better than the brief and to make customers feel beautiful and at ease. Carefully considered lighting has allowed us to do just that. This project's been such a passion for Nulty. 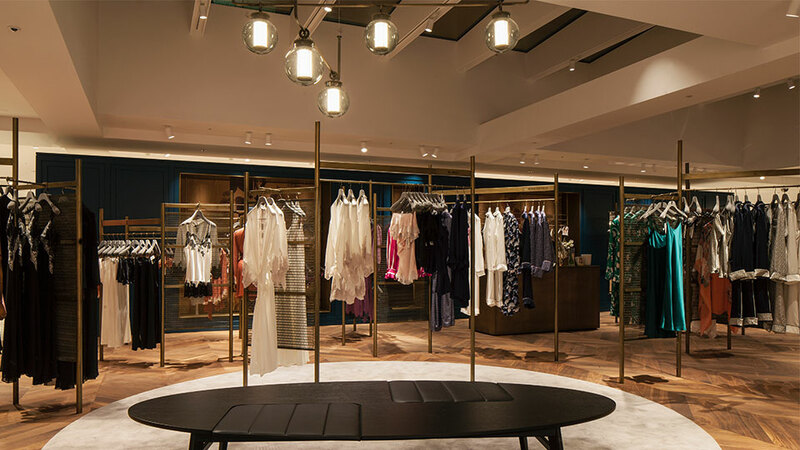 Working closely with the interior designers we were able to enhance and realise their vision of creating a unique shopping experience, specifically targeted at women.